Heavy-duty cleaning unit. 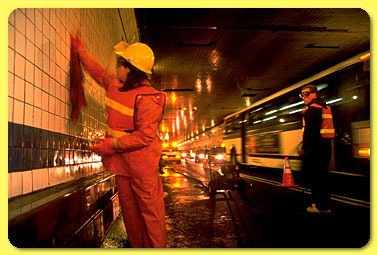 Three to four hundred cleaning workers enter the system each night. A mobile waste truck with 250 gallons water heated to 190 degrees and a 1000-foot hose meets each group of cleaners. Next series . . .